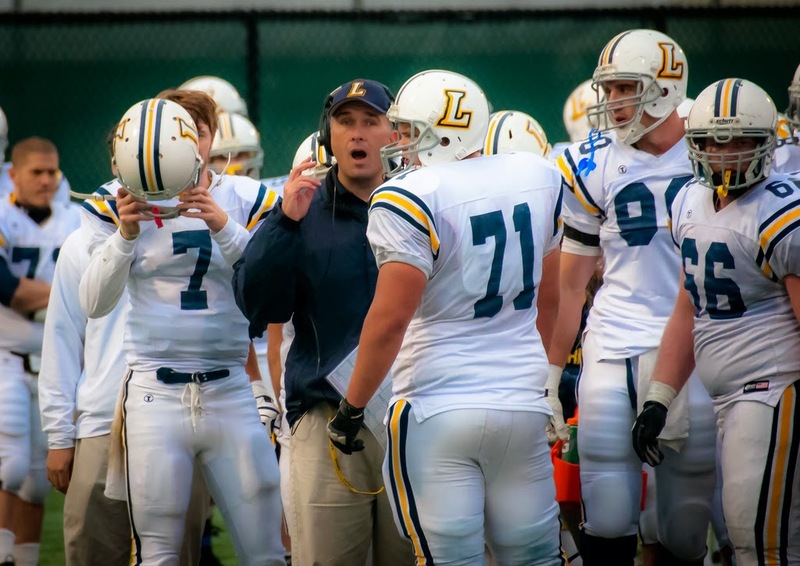 Earl Chaptman and Dominic Bornman will join the Lycoming coaching staff in 2014. WILLIAMSPORT, Pa. – Lycoming College seventh-year head coach Mike Clark announced the addition of two new assistant coaches to his 2014 staff, as former Wilkes University assistant Earl Chaptman will coach defensive backs and former Trinity High School assistant Dominic Bornman will coach wide receivers. The two additions rounds out an 11-member staff for the Warriors in 2014, which will also feature assistant head coach and defensive coordinator Steve Wiser (41st year), quarterbacks coach/recruiting coordinator Tim Landis (2nd year), offensive line coach Pat Taylor (4th year), assistant offensive line coach Dave Becker (5th year), assistant linebackers coach Chris Kish (3rd year), special teams coordinator and defensive line coach Doug Thiel (4th year), assistant offensive line coach Pat Vollman (3rd year) and linebackers coach Mike Weber (26th year). After three years as an assistant at Middle Atlantic Conference rival Wilkes, Chaptman is set to begin his first year with the Warriors in 2014, working with the team’s defensive backs. In his time at Wilkes, Chaptman helped develop Omar Richardson into an All-MAC defensive back and a Preseason All-American in 2013. Prior to joining the staff at Wilkes, Chaptman coached the defensive backs at Bartram Trail High School in Jacksonville, Fla.
Before beginning his coaching career, Chaptman was a three-year starter at cornerback at traditional ODAC power Bridgewater College in Virginia. While at Bridgewater, Chaptman won two ODAC championships and played in the NCAA playoffs twice. He was recognized as an All-ODAC performer during his junior and senior seasons, while also earning a spot on the VaSID All-State First Team. Originally from Baltimore, Chaptman attended Dunbar High School. While at Dunbar, he was selected to the All-State team as a quarterback. A dual sport athlete, he also won a state championship in basketball. After a season working with the wide receivers at Trinity High School, Bornman will make his debut as a collegiate coach with the Warriors in 2014. Bornman was a member of Juniata College’s football team from 2009-12, playing three seasons and sitting out the 2011 campaign with an injury. However, he came back to have a phenomenal senior season, leading the squad with 666 receiving yards, finishing seventh in the Centennial Conference in yards per game, two touchdowns and 48 receptions. During his first two seasons, he worked into the team’s depth chart, catching 19 passes for 137 yards as a sophomore. After his graduation from Juniata with a Bachelor of Arts in information technology and digital media in 2013, Bornman continued to play football, joining the Gridiron Development Football League’s Central Penn Piranhas, an adult-amateur team, where he has played for two seasons. Bornman is the son of Ty Bornman, who earned three letters with the Warriors from 1976-78, participating on the college’s first MAC champions as a senior. The 2013 Warriors finished 7-3 overall under Clark. The team was once again led by its defense, which finished tops in the MAC, allowing a league-best 304.0 yards, 91.4 rushing yards and 18.3 points per game.